If you use older version of AutoCAD and want to open newer version, you can use TrueView to open it. 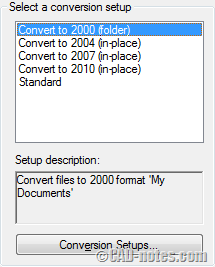 You can also use it to batch convert AutoCAD 2014 to R2010 and open it in your AutoCAD. 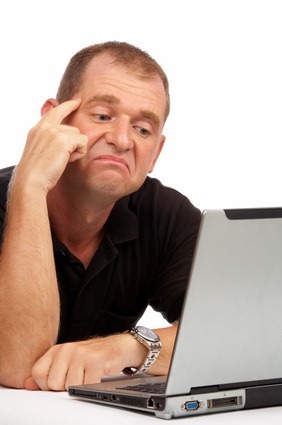 The question I got is: can we convert AutoCAD 2014 files to AutoCAD R14? Yes, you can. 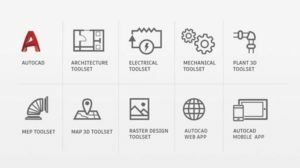 Probably not many people use AutoCAD R14 today, but I know some people still use it. 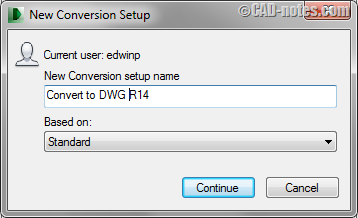 You don’t see convert to AutoCAD R14 in TrueView DWG convert tool as default. But you can create a conversion setup to achieve this. After you installed and open TrueView, activate DWG convert. Click conversion setup, and click new on the right side of new window. Give this setup proper name. Click continue. You will see your setup options here. Make necessary adjustment. 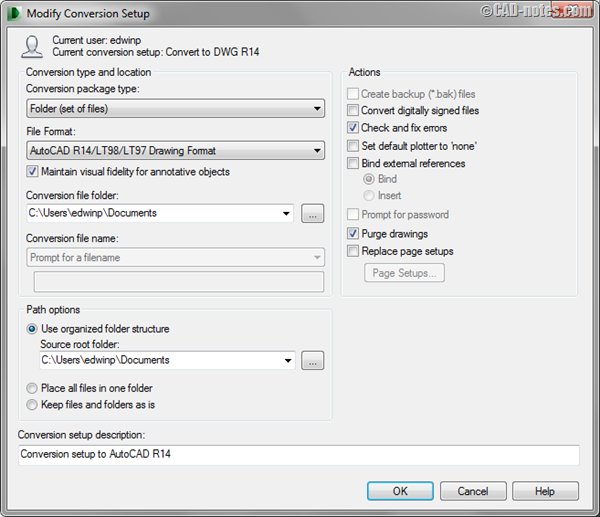 Don’t forget to change the File Format option to AutoCAD R14/LT98/LT97 drawing format. You might want to fill the description at the bottom of this window. Now the new conversion setup is on the list. You can try to use it now. What about converting DWG version to R13 or older? It’s not on the list. So you can’t use TrueView to do that. We are in the process of drawing plans for our new house. My architect has drawn the plans and given files in .dwg format. I need to convert them into CAD to send it to another company. IS there any way we can convert .dwg files in Auto CAD? 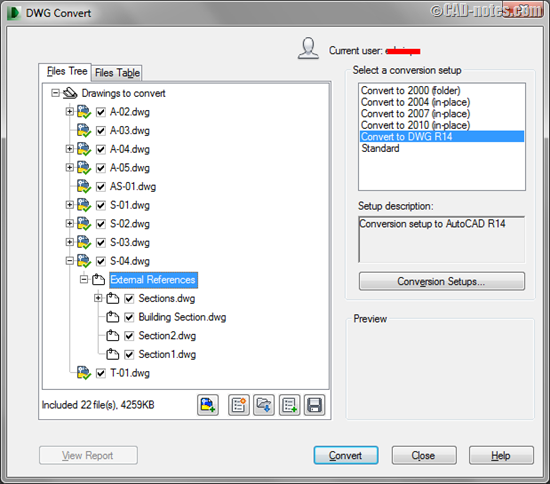 You can save to older version of DWG by using Save As in AutoCAD. It allows you to select which version or format that you want. But you need to do this for individual file. TrueView allows you to batch convert your files. It is free, so if you need to convert multiple files regularly I suggest you to download it. Thanks so much for this tutorial. I had exactly this problem and your solution worked first time. Now I need to remember/learn sufficient skills to make the changes to the drawing with my ancient copy of AutoCAD. 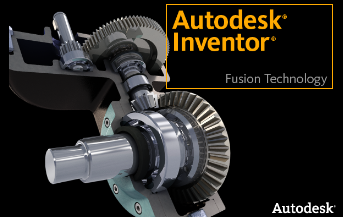 It can convert to CATIA V5, CGR, IGES, JT, Parasolid, PDF 3D, STEP, STL and VRML.